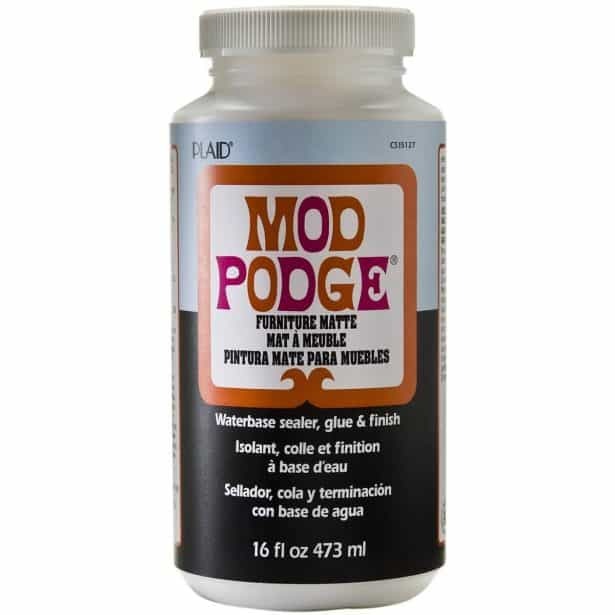 Ever tried Mod Podging furniture? 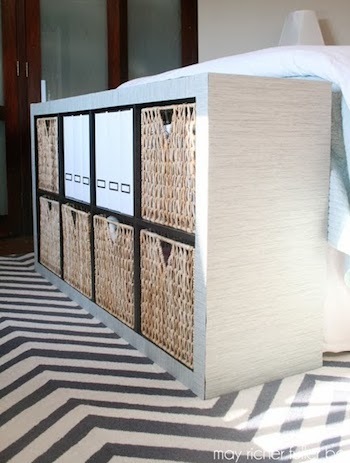 It's a great way to upcycle a piece on a budget! 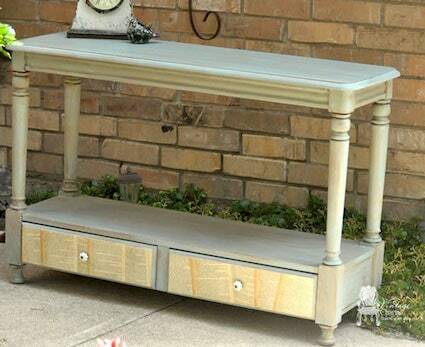 Check out these 15 decoupage furniture projects to get started. Time and time again, I see that your favorite projects on this blog are from the DIY furniture category. 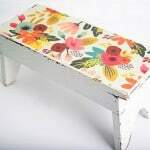 And I don't blame you – the decoupage furniture projects are my favorites too! I don't consider myself to be a home repair/intensive DIY person, so the thought of Mod Podging a chair or table is much nicer than the thought of something fancy like staining. I know, it's just a mind game . . . but I can't help it. 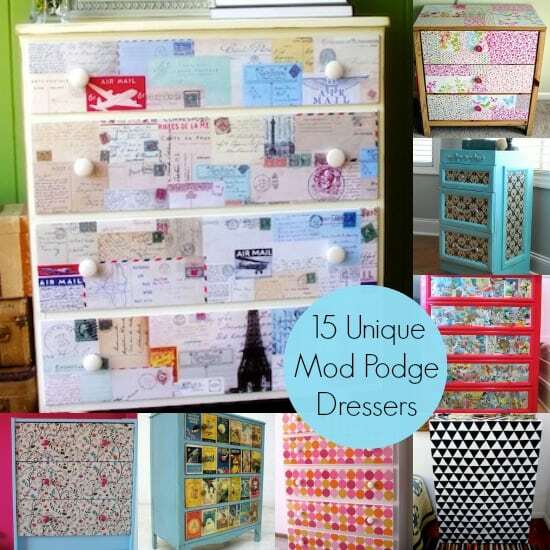 Mod Podge doesn't scare me, and often times it's the more budget friendly upcycling option. 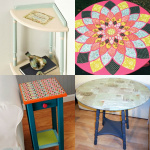 If you're on the same page as me, take a peek at this collection of 15 decoupage furniture ideas. You'll be Mod Podging a chair in no time – I know it! 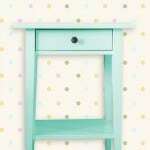 Cover a plain wood chair using some fancy pants napkins – what a makeover! 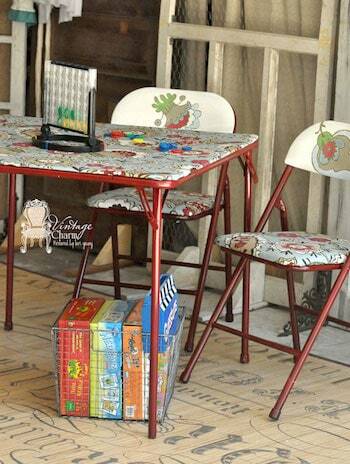 My parents have a set that desperately needs a revamp – using Fabric Mod Podge is a great idea!. 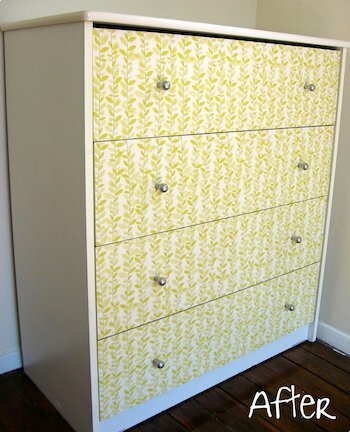 Barb completely revamped an old dresser with a cool wallpaper pattern from Spoonflower. 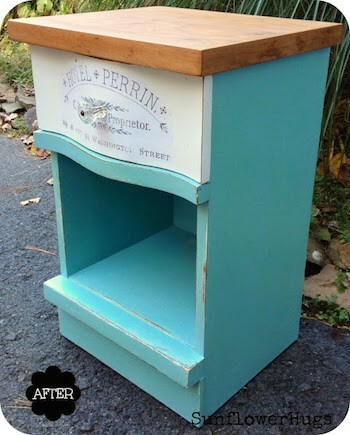 This is one of my most favorite decoupage furniture projects ever! 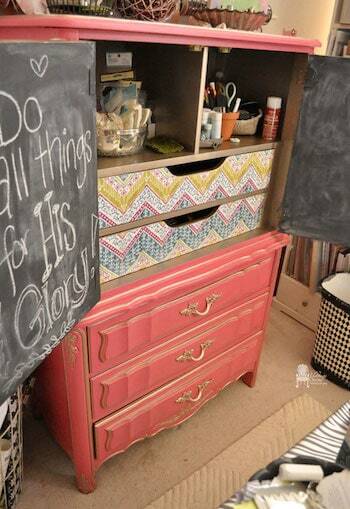 Jill completely revamped these drawer fronts using large paper sheets and Mod Podge. 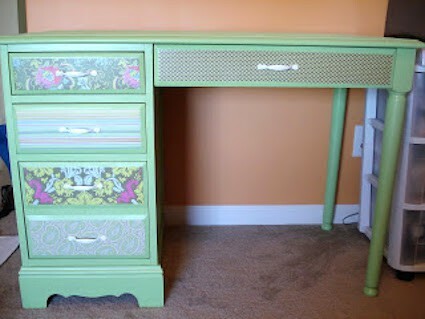 Beckie used a pretty paint color and some awesome scrapbook papers to give this desk a new lease on life. 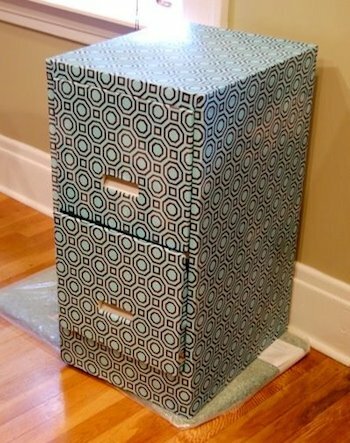 Use a bold pattern of fabric to give a filing cabinet a new lease on life. 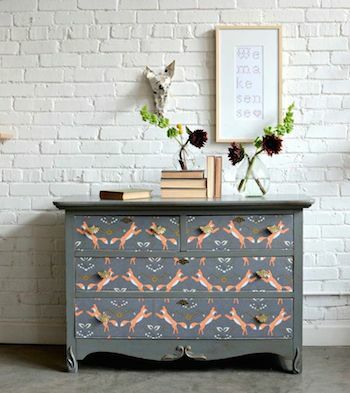 This piece of furniture features a special decoupage surprise on the drawers when you open the door. 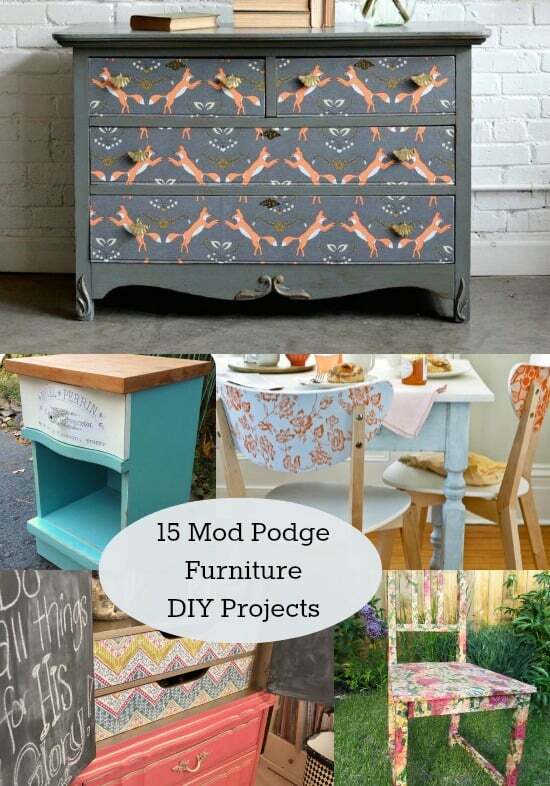 Ready to get started with decoupage furniture projects? 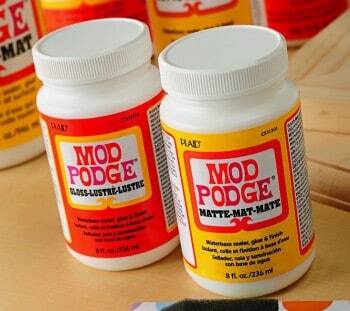 Grab a bottle of Furniture Mod Podge. You can learn all about the formula here. Now continue to click through the slide show to get more project ideas! This project is a quick way to revamp a set of old chairs. I have this same IKEA shelf – and Chaney gave it an amazing transformation with a curtain panel. 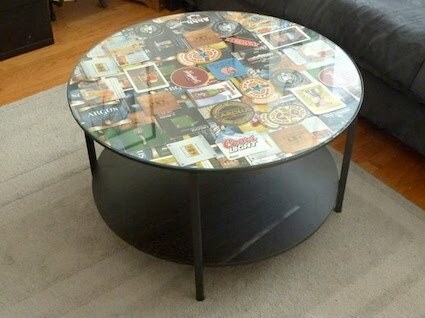 This inexpensive coffee table was turned into a personalized piece using coasters and Mod Podge. Lori gave this table a gorgeous paint job, and I especially love the book pages she added with Mod Podge. Don't throw those scraps in the garbage – patchwork a child's chair instead. 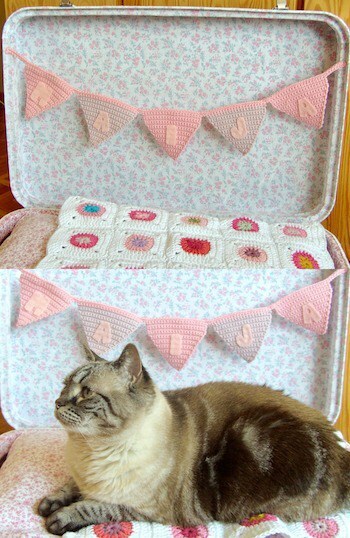 Z turned an old suitcase into an awesome pet bed using paint and Mod Podge. 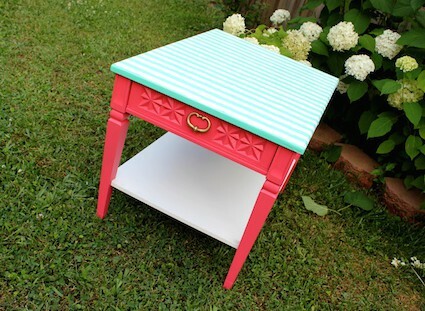 I love everything about this table makeover – from the bright paint color to the wrapping paper on top. Susan picked a gorgeous shade of blue for her decoupage furniture revamp, and made her end table even more fantastic with an image transfer. Thanks for including my IKEA hack in your awesome roundup! Love all these projects.